This isn’t actually the case with either TypeScript or ES6, though. Let’s go over some common questions. ES6? ES2015? Which is it? Is Angular 2 written in TypeScript? Will I have to transpile Angular 2's TypeScript into normal JS? Do I have to write in TypeScript to use Angular 2? Can I write Angular 2 in ES5 and avoid all this new stuff? TypeScript? ES6? What should I use? Should I sign up for the newsletter? Do I need to rewrite my code in TypeScript? Which IDEs support TypeScript? Do I have to use Visual Studio? Is TypeScript made by Microsoft? I hate Microsoft. Officially, ES6 is now called ES2015. You’ll probably see both used interchangably around the web for the foreseeable future. 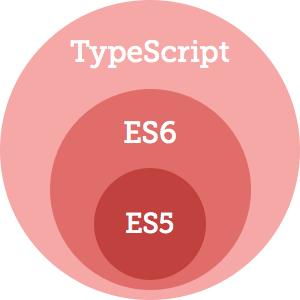 The state of things in October 2015, as far as I can see, is that most people are still calling it “ES6,” so I’ll do that here. Yes. Take a look at the Angular 2 Github repo and you’ll see a bunch of files with a .ts extension. The Angular 2 team is writing in TypeScript. Will I have to transpile Angular 2’s TypeScript into normal JS? Files in the root folder can be used with CommonJS. Files under /es6 can be transpiled to ES5. Files under /ts are the TypeScript source. (bonus) They provide a es5build.js script to transpile ES6 to ES5 live in the browser. (bonus2) They provide a sfx version (“Self-Executing bundle”) that includes SystemJS and any required transpiler. If you went through the Angular 2 in Plain JS tutorial, that’s how that worked. No! Just because the framework is written in TypeScript, this does not mean that you have to write your app in TypeScript. It’s perfectly possible to write Angular 2 in ES6 (or even ES5). Technically, yes. Check out my post about writing a “hello world” in Angular 2 with ES5. This is probably not the most future-proof strategy though – I think you’ll want to ultimately learn and use ES6 to write real Angular 2 apps. I’d recommend trying to write a little bit of code with each, and deciding for yourself. A lot of people have very strong opinions for or against TypeScript. It’s still a very much optional language built on top of ES6. The added type information means IDEs can be smarter, and maybe the compiler will catch some errors. No, you don’t have to use Visual Studio (Code, or otherwise). Leave a comment below, or email me and I or someone else in the community will try to answer.